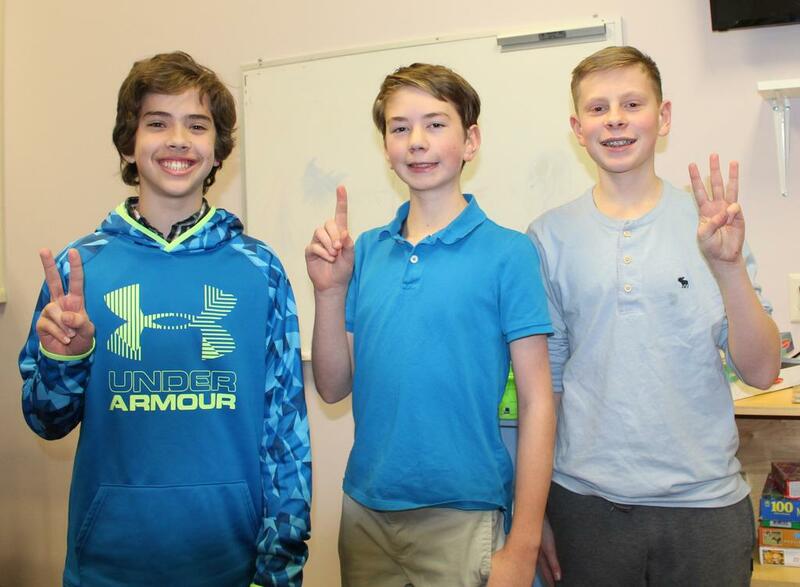 Eighth-grader Baxter Engleman took first place and Owen Dulca and Ryan Brown, also eighth-graders, placed second and third, respectively, in a Geography Bee Jan. 8 at Jordan Small Middle School. Other grade representatives participating were: McKenzie Harris and Jayden Grenier, fifth grade; Phoebe Jewelll and Carter Engleman, sixth grade; and Chloe Harmon, Brandon Man and Sam Kerr, seventh grade. Residents are encouraged to take part in an online survey about broadband as the town moves forward in its effort to secure fiber broadband access in the area. Maine-based GWI is looking at building a fiber-to-the premises, high-speed internet system for Raymond, along with Casco, Sebago and other area towns, but first seeks input on whether sufficient demand exists. GWI would build the system at no risk to the towns. The survey, which can be accessed at givemefiber.com, must be completed by Feb. 28. For more information on the goals of the broadband project, go to raymondvillagelibrary.org/broadband-opportunity/. During the February school winter break, Raymond Village Library will host a Mad Science program at the Raymond Public Safety Building. The “Fire and Ice” program will be held at 10:30 a.m. Wednesday, Feb. 20. For more information, contact the library at 655-4283. Every two seconds, someone’s identity is stolen. Scams and identity theft rob millions of Americans of their hard-earned money every year. AARP is holding a worshop from 6-7 p.m. Wednesday, Feb. 20, at Raymond Village Community Church to help people recognize common scams and what can be done to avoid them. Join AARP Maine Communications Director Jane Margesson and Cumberland County Sheriff Kevin Joyce to learn about about useful resources and receive a fraud prevention guide. The church is located at 27 Main St. For more information, call 655-2222 or email agefriendlyraymond@gmail.com. In collaboration with the Raymond Arts Alliance, the library will host Raymond beekeeper Deborah Gideon for three Wednesday nights of lively presentations on bees. The programs will begin at 6:30 p.m.
On Feb. 20, “Queen of the Sun,” which provides an overview of the historical and contemporary life of bees, will be screened. A “Bees: Myth, Magic and Medicine” discussion is scheduled for Feb. 27. The March 6 class will view and discuss the film, “Sister Bee,” about the pleasures of beekeeping. For more information, contact the library at 655-4283. Andi Winslow of Windham Meals on Wheels, which serves Raymond residents, will speak at the Age Friendly Raymond’s Community Connections group meeting at 2 p.m. Monday, Feb. 11, at the Raymond Public Safety Building. Attendees will learn about the program, how it can help you and how you can help Meals on Wheels. A social hour with pizza, snacks and beverages will be held as well. For more information, go to agefriendlyraymond.org. Owen Dulca, left, Baxter Engleman and Ryan Brown were the Top 3 finishers in a recent Geography Bee at Jordan Small School.